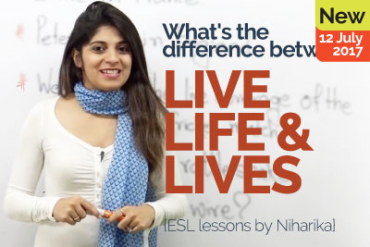 In this English lesson by Rima, you would learn English errors found in Facebook comments. We do make these English errors in our daily English conversation are wrong and very funny . Let’s look at a few such errors made in English. My father met me at the airport and gave me a ‘hog’ and then he ‘hogged’ my wife too . Gas – means fuel ; this is wrong . I don’t know , I have a wild guess . I have exciting news ; my boyfriend and I got ‘enraged’ last night . Enraged – means to get angry . Should Madonna be ‘aloud ‘ to adopt again ? When I got home there was a ‘massage’ waiting on the answering machine . My bed has three blankets and a large ‘guilt ‘. Guilt – to be feel bad about something you said or did . This is wrong . You’ve got ‘male’ , please check it . I have ‘intimidated’ them with the timing . 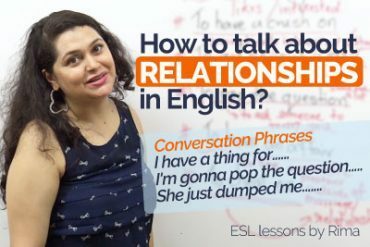 Previous Previous post: 6 reasons- Why is my English not improving? 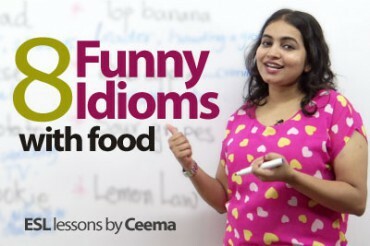 08 Funny idioms with food.